Airsoft pro External barrel extension 6.8 cm. Metal outer barrel for electric guns. Length 8 cm. One end with outer and second end inner thread. Both 14mm counter clockwise. 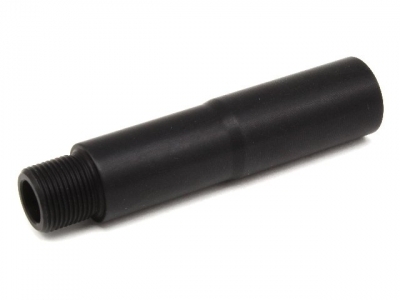 Any compensator, flashhider or silencer fit on this barrel extension. Visually intended for weapons M4, but the barrel can be screwed to most other weapons. For example, G36, AK, P90, MP5, SCAR ... etc.